The Australia India Youth Dialogue (AIYD) is the pre-eminent track-two young leaders’ dialogue between Australia and India. Held in India and Australia in alternate years, the AIYD hosts 15 of the best and brightest young minds from each country at an annual conference. 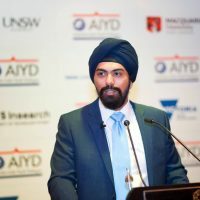 The AIYD enables a rich exchange of ideas between emerging leaders to think creatively about how the Australia-India relationship may be strengthened through their own work and efforts. We are pleased to announce the chosen delegates for AIYD 2019. AIYD 2019 will be held in Melbourne and Sydney, Australia from 20th – 23rd February, 2019. “Good relations between countries are ultimately founded upon good personal relationships. The Australia India Youth Dialogue recognises this, and for many years has been at the forefront of fostering friendship, contacts and networks between young people from both countries. – Governor General of Australia, His Excellency General the Honourable Sir Peter Cosgrove AK MC (Retd). The AIYD’s strength lies in its diverse alumni network spanning across Australia, India and beyond. We currently have 150 Alumni who come from all walks of life. 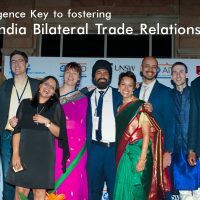 Alumni engagement continues beyond AIYD conferences, and many of our alumni have collaborated on projects that have contributed significantly to strengthening the Australia-India bilateral relationship in different arenas. The AIYD aims to facilitate such interactions throughout the year through various alumni grants and programs. Sharing AIYD regular updates, articles and media releases here.